We will foster and advocate technacy and innovation capability across curriculum and in teaching practice, in the interest of our common sustainable future. We also acknowledge inspiration from desert people's ingenuity and the relationship between people, technologies and our environments that as a whole system offers both ideas as well as challenges for assuring intergenerational fairness. 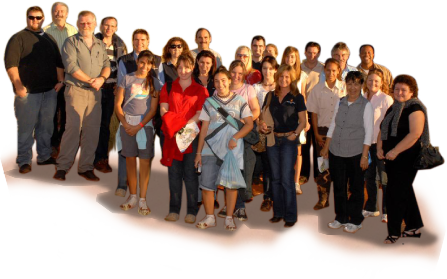 This web site targets creative school teachers interested in research based approaches to the teaching and learning of various forms or types of technologies taught across school curriculum. We define forms or types of technologies using the concept of technacy genre theory. Initially researched under national curriculum projects in the late 1980s and early 1990s for remote Aboriginal Australian communities and again recently in 2007-2008 among 10 northern New South Wales schools, technacy genre theory has experienced a quiet growth in teacher training, use and experimentation across Australia among innovative teachers and schools. Technacy theory is based on an holistic and systemic appreciation of technology. Its theoretical structure helps guide the teacher in ways of diagnosing and advancing a child's general level of knowledge, application skills and innovative attributes in the study and use of technologies. 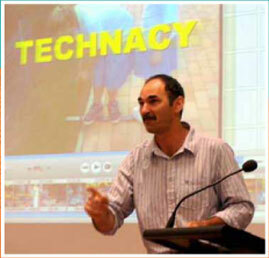 Noted in key nationally endorsed Federal and Northern Territory government reports, the Australian Macquarie Dictionary and teacher forums, technacy theory has also entered the language of prescribed teacher textbooks and undergraduate teacher training degrees in various Australian states.